The NHL scouts parading through Waterloo, Iowa, usually said the same thing about Joe Pavelski. "'He can't skate, he's not big enough. He can't skate, he's not big enough'," recalls P.K. O'Handley, who coached the San Jose Sharks forward back when he captained the USHL's Waterloo Black Hawks nearly 15 years ago. Concerns ran deep enough that Pavelski, second only to superstar Alex Ovechkin in goals over the past three NHL seasons and the current Conn Smythe favourite with 13 playoff goals, fell to the seventh round of the 2003 draft, going 205th overall to the Sharks. While intrigued by Pavelski, the Sharks didn't even use their first (of two) seventh-round picks to take him, opting instead for a French-Canadian forward who never played an NHL game. How does a player with such apparent flaws — a lack of size and speed — rise into one of the league's premier players and goal-scorers? It starts with a feel for the game that former coaches describe as uncommon. The five-foot-11, 190-pound Pavelski may not have been pretty to watch, but he could process the game quickly and that allowed him to make a play or score a goal. "He's always thinking about four steps ahead of everybody else, even at the high school level, at the junior level and then ultimately at our level, here at Wisconsin," said Mark Osiecki, a former Badgers assistant who recently returned to the university's program. "His mind for the game, his will to succeed, is at a super, super high level." "His hockey IQ, even at 17," added O'Handley, "was off the chart." Highly driven to improveIt's one of the first elements O'Handley noticed when he inherited Pavelski upon assuming the coaching job in Waterloo. He saw a kid who could think the game and was highly driven. Osiecki remembers when Pavelski wanted to improve in the faceoff circle, he watched video of NHL players. He worked on blocking shots as a defender, tipping shots on the other end, performing the subtler aspects of the game which have made him into a force for the Sharks, where he's spent his entire NHL career. 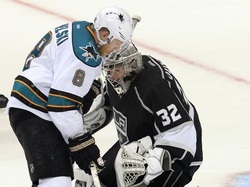 Pavelski, 31, is an ace jack of all trades for San Jose. He's a focal point of a top power-play unit, kills penalties and wins 55 per cent of his faceoffs, among the top marks in the league. He rarely gets mentioned in the company of Ovechkin, Lightning captain Steven Stamkos or Anaheim veteran Corey Perry, but he's been every bit as accomplished as a goal-scorer, too. Only Ovechkin and Stamkos, both No. 1 overall picks, have more goals than Pavelski over the past five seasons and only Ovechkin has scored more since the start of the 2013-14 campaign. The coaches in Waterloo still pull out the old VHS tapes to look back at Pavelski. They see a player scoring in all the same ways as today: wicked shots from the faceoff circle on the power play, tipped shots in front of the net and greasy one-timers off one knee. "He's got unbelievable hand-eye co-ordination," says O'Handley, for whom Pavelski scored 57 goals over two seasons. "You should see what he can do with a golf ball on the golf course in the middle of the trees, it's unbelievable." Unlike Ovechkin and Stamkos, known for scoring in one or two prominent ways, Pavelski scores in bunches every which way. 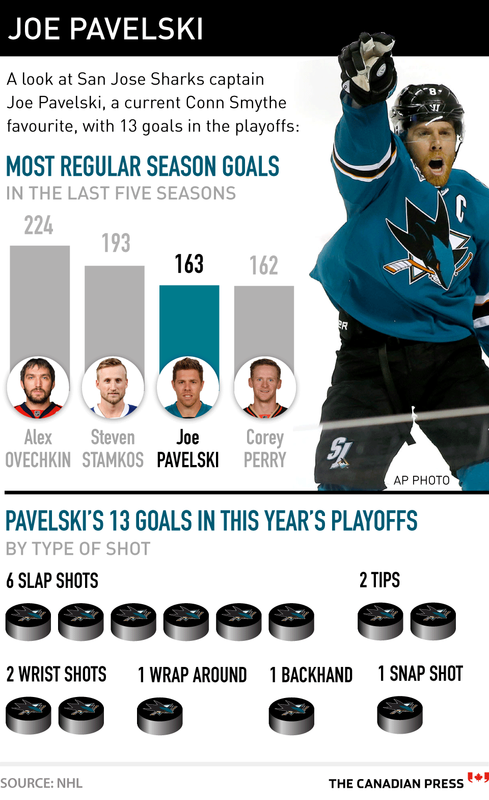 A look at Pavelski's tally of 13 post-season goals reveals the variety: six slapshots, two tips, two wrist shots, one wraparound, one backhand and one snapshot. Stamkos, by contrast, scored 28 of his 36 regular-season goals either by wrist shot or slapshot. Overlooked from startHailing from a small town in Central Wisconsin, Pavelski has always been overlooked to some degree, dating back to the draft and even after that to his days as a Badger. At that time, Robbie Earl, a one-time Toronto Maple Leafs draft pick, was more highly thought of on a Wisconsin squad stocked with future NHLers, including St. Louis Blues goaltender Brian Elliott. Osiecki and O'Handley both speak of Pavelski's character in glowing terms and O'Handley insists that it's not fluff. "It seems like it's too good to be true, but it's all true," he said. O'Handley cites Pavelski's history of winning, which includes a high school championship, Clark Cup with Waterloo, national title with Wisconsin and silver medal at the 2014 Olympics, as further proof of his character. All that's seemingly missing for the Sharks captain is a Stanley Cup, which his team is threatening to win for the first time. They advanced to the Cup final Wednesday night after a win over the St. Louis Blues. Neither O'Handley nor Osiecki is surprised by Pavelski's ascent. "Did I think he would be at this level of scoring? I didn't know that," O'Handley says. "But am I surprised that he's in the National Hockey League and his coaches rave about him because of the person that he is and the competitor that he is and all that? 1. The opponents’ average age to be the same or higher than your team’s.We worked all day, we don’t work out nearly as much and bluntly, we’re mostly out of game shape. We’re here for some time with the boys and aren’t looking to chase around a bunch of 20 year-olds home for summer break. 2. Wives and girlfriends to instinctively understand that no matter if game time is 7:00pm or 10:40pm, we’ll be at the rink until 1:00am.We love you, we truly do, but yes this is in fact way more enjoyable than cuddling on the couch and watching the bachelor with you. Please don’t make us answer that question, because you wont like the response. Whether we won a nail-biter or lost by 20, there will be more beers waiting in the locker room than Oktoberfest and yes, we will be here until we finish them. 3. To not have the last game of the night.Remember back when you didn’t care what time the games were because you could just sleep in until 11 AM anyway? Yeah, those days are long gone. You’ve been doing this long enough to know the 10:30 PM game really starts at 11:15 and inevitably you’ll end up looking like George Costanza rocking a nap under the desk tomorrow morning. 4. The refs to find a happy medium between not wanting to be there and thinking they are officiating game 7 of the cup finals.We’re going to complain about every hook, hack and off-side you do or don’t call all night because for a couple hours a night, we have the delusion that you are the sole reason our team isn’t undefeated. It’s not our diminishing skills that weren’t great to begin with, or the fact that we can barely skate up and down the rink twice without needing an oxygen tank. Until the final buzzer, we are going to be all over you and if you can take that in stride, we’ll be glad to toss you a couple beers, hang out and laugh in the parking lot later. 5. Hot showers at the rink.This one is a no brainer. We’re going to shower when we get off the ice and hot water is great, post-game hypothermia isn’t. The only thing that should be cold after the game is the case of beer. Every beer-leaguer is accustomed to hearing “Water hot?” asked of the first teammate to turn on the showers. We don’t want to drive home smelling like a foot because we have to get in the same car in work clothes in 8 hours. 6. To leave the rink with the same number of teeth as we arrived with.Yes, I’m wearing a visor. No, it’s not an invite to catch me in the chicklets with your stick. You wear a full cage? Great, I’m not going to chirp you unless you start waving your stick around my ears like you’re the long lost musketeer. You have that cage on and I don’t, keep your stick down champ. It might only be 2-minutes for you but it’s a long trip to the dentist for me tomorrow. 7. 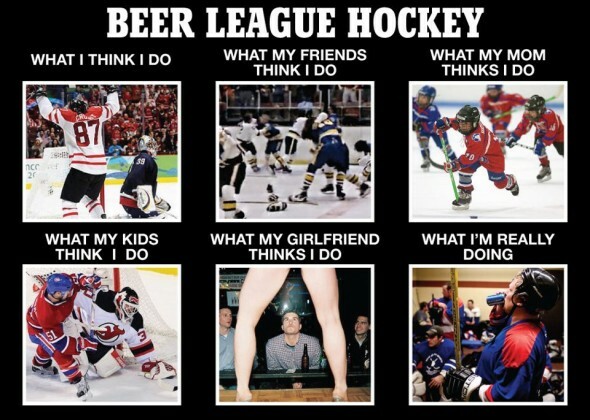 For that one guy on the opposing team to bring it back a notch.Hey practice hero, it’s a B- level beer league. Phil Pritchard and the cup are not in the building; Pierre is not between the glass. You don’t need to hack my wrist off on my follow-through, relax on finishing that check in the corner and no scout is taking notes of your awesome back-check. We all have to work in the morning and not limping around the office is the goal. 8. The guy on the other team wearing #69 to just stop.We all remember when #69 was hilarious a joke as any, we were 7. Pick a real number and move on. 9. Both goalies to show up.Contrary to popular belief, the other team’s goalie not showing is almost as frustrating our own goalie not showing. Yeah, we’ll probably (god I hope) win the game. But it’s boring as hell. You look like a jerk for shooting it into the net and a jerk for holding off. 10. To be on the team with the sweet uniforms.Every league has one team that spent $500 per guy on uniforms and they look like an NHL team walking out of the room. Matching jerseys, socks, gloves, helmets and pants. They’ve been playing together forever, it’s the same guys every season and you hate them mostly out of jealousy. 11. All 5 guys on your team to attempt to play defense.None of us are Nick Lidstrom, but if I look up from the corner I’d love to see all 5 guys within driving distance of our defensive zone. If I get the puck and look up to see you wildly waving your stick at me from the far blue, you probably aren’t getting the puck and it’s out of spite. 12. Everyone to show up sober. Boys, there are plenty of beers waiting AFTER the game. 13. The captain of the team to calm down.Yeah, we all want to win. I don’t need to get screamed at for not being on the boards on the break-out or half-assing it on the backcheck. The goalie looked like he had it under control anyway. Just because you filled out the team’s online registration form doesn’t make you de-facto coach/GM. 14. To make it through a game with all sticks intact.These aren’t you’re grandfather’s Christian wood sticks. Do they improve my game? Probably not, but I ponied up the $260 a piece for them so if you slash it in half, I’m going to be more pissed than if you slashed my leg in half, there’s no medical coverage for composite sticks. 15. To laugh at the guy with the tinted half shield.Hey Ovi, is the NHL lighting in the municipal arena getting to your eyes? The only thing more embarrassing than the halfy is the toe drag you’ve tried to pull and failed at the last 9 consecutive shifts. If you spent as much time practicing that move as you do staring at your reflection in the glass, you’d have perfected it by now. The RUT Hockey team will be headed to Lake Placid, NY April 17-20. There is no Tournament quite like the Lake Placid CAN/AM Challenge Cup! Whatever your team’s level, The RUT will enjoy a weekend of competitive hockey at the awesome 1980 Olympic Arena. Add to that the best hotels, great meals, a rousing tournament party (with a complimentary bar, of course), and the convenience of having a great time. There’s no way to beat the fun on and off the ice! CAN/AM have made Lake Placid even more attractive with inexpensive, guaranteed greens fees at the Lake Placid Club Resort or Craig Wood Golf Course.....where you can hit the links before, between and after your games. 45 teams are coming, and we are in the competitive division. All games will be played at the Olympic Complex with three arenas under one roof, all within walking distance to the Tournament Hotels. Lake Placid is truly a great Hockey Holiday weekend for over 1,000 players, friends and fans each year! The RUT looks forward to a great experience with hockey friends and family! THE Pabst Blue Ribbon Hockey Tournament is right around the corner on Feb. 14-16, 2014 and it was VOTED THE BEST DAMN POND HOCKEY TOURNAMENT IN THE USA! They keep the tournament limited in size for one reason. They want to keep it the best tournament in North America! There goal is for each player to have the best possible experience at a non-crowded, energetic, and benefit filled event. A tournament where you can hopefully get to know others, rekindle old friendships, and play in a stress free atmosphere with great customer service. Please be sure to find RUT Hockey at the tournament, say hi, and stay in touch into the future! The stage of the Pabst CPHT takes place on a secluded pond in the heart of Ski Country USA - Summit County, Colorado. Silverthorne is centrally located near world famous ski areas such as Breckenridge, Keystone, Arapahoe Basin, Loveland, Vail, and the best - Copper Mountain Resort. The tournament takes place only an hours drive west of Denver! Easy access and plenty of great accomodation options make this an easy, fun, and affordable tournament. The San Jose Sharks signed center Joe Pavelski to a $30 million, five-year contract extension Tuesday that will keep him off the free-agent market next summer. "It's always exciting when a franchise puts that responsibility on you a little bit," Pavelski said. "It's important to continue to play at a high level in that regard. It's a position I wanted to be in, and it's exciting to have this opportunity." Pavelski is the second key player signed to an extension this offseason by general manager Doug Wilson. Center Logan Couture also signed a $30 million, five-year extension earlier this month, a year before he could become a free agent. The deals keep both players under contract through the 2018-19 season. Pavelski, a seventh-round pick in 2003, has become a cornerstone of the franchise that has long been led by Joe Thornton and Patrick Marleau. "He is one of our core players, the way he plays," said general manager Doug Wilson. "To me it was just an important contract to get done on the heels of Logan's contract also. He fits for now and the future the way he plays the game." He was tied for third on the team in points last season when he had 16 goals and 15 assists in 48 games. He is also a key part of both the power-play and penalty-kill units, is strong in the faceoff circle and has the versatility to play center or wing. The 29-year-old has 150 goals and 186 assists in 479 career games with San Jose. He ranks 10th in his draft class in points per game (0.70) and is the only player in the top 15 to be selected after the second round. "He's a hockey player," Wilson said. "We use him on the point on the power play, we use him on the first line, we use him on key faceoffs, blocking shots. He won a national championship in college for a reason. He's a winner. He's a great role model for many of our other players who are home-grown. The way he plays the game, it's not about stats, even though his stats are very impressive. It's about what you can do to make a difference to win a game. He is third among all American-born players with 158 points over the past three seasons and has been invited to attend the United States' national team orientation camp next month in preparation for the 2014 Olympics. Pavelski won the silver medal with the Americans in Vancouver in 2010. Pavelski has been a strong performer in the postseason throughout his career, with four goals and eight assists for a team-high 12 points in 11 playoff games last year. He has 24 goals and 26 assists in 74 career playoff games. "I've played at a high level at times throughout my career and through stretches," Pavelski said. "It's about getting to that high level and maintaining it and expecting it on a nightly basis." Locking up Couture and Pavelski long term was a key goal this offseason for the Sharks. They still have a few notable potential older free agents next summer in Thornton, Marleau and star defenseman Dan Boyle. Wilson said he has already talked with all three about new deals but that Couture and Pavelski were the priority because they are younger. In today’s world of ultra-competitive sports, more and more parents are turning to private coaches to help their child excel. From an outsider’s perspective this might seem like a decision based purely on athletics, but what many people fail to realize is that when you find a great private coach, he or she will not only help your child on the field, but off the field as well. Finding a great private coach at an early age can establish a powerful relationship that enables the coach to help your child in multiple capacities. One of the biggest benefits of a private coach, outside of athletic improvement, is his or her ability to help increase your child’s confidence. Most children lack confidence because they feel there is nothing particularly special about them; becoming a standout in their sport can change that and it will quickly become a point of pride for them. This feeling of pride and accomplishment can quickly crossover into all aspects of their life that may help cause a chain reaction that shifts their whole attitude for the better. This positive change of attitude can often lead to a better classroom work ethic as they now have experienced first hand that extra-work can lead to success and a feeling of accomplishment. Parents often think (or would like to think) that their children will come to them with all of their problems, but the unfortunate reality is they won’t. Having an additional confidant can be a hugely helpful resource for your child. In addition, having them regularly interacting with someone who they aspire to be will help create motivation for them to work toward their goals. Unfortunately, children often ignore their parents’ advice. But if their coach, who they trust and respect, tells them that they need to concentrate on school as much as their sport to be a collegiate athlete, they’re more likely to listen. This is not to say that all private coaches will have a profound positive affect on a child; like with anything not all private coaches are created equal and a bad one can even be detrimental. It is important that you are consistently communicating with your child to be sure that they’re not only improving from their session but also enjoying them. Good team coaches don’t necessarily make good private coaches, just like good players don’t always make good coaches. Next time you hear about someone you know hiring a private coach for their child, don’t jump to the conclusion that the decision was purely about athletics. If possible, talk with them about their experience and ask if the coach has had an impact on their child’s life in areas outside of sports. You may be surprised at their answer! RUT Hockey player Ryan Scott had the opportunity to try on the Los Angeles Kings Authentic Championship Ring prior to the Kings-Chicago Blackhawks game as part of the club’s pre-game festivities in which the franchised raised their first Stanley Cup championship banner to the rafters in STAPLES Center. Scott who is a big part of RUT Hockey's mission got to try on the championship ring. Each Kings player received their Tiffany & Co. championship ring on the ice. Tiffany has created each championship ring as a lasting tribute to the LA Kings dedication and thrill of victory. This will mark the jeweler’s first creation of a NHL Championship ring. The face of the ring includes 104 round brilliant pave set diamonds. 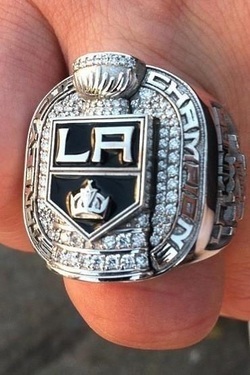 The Los Angeles Kings crest sits atop the Stanley Cup and the text “STANLEY CUP CHAMPIONS” is set around the bezel. The ring’s shanks celebrate the Kings’ historic 2012 season. The LA Kings iconic crown and player name in raised letters appear on one shank; and the LA Kings team name, the NHL logo, 16/4 record and year (2012) appear on the other shank. RUT HOCKEY FAN OF THE WEEK! Whether your sporting face paint, a mask or a bright purple wig, our fans love to prove their passion for RUT Hockey. Sadly, but not surprisingly, the NHL lockout became official Saturday. 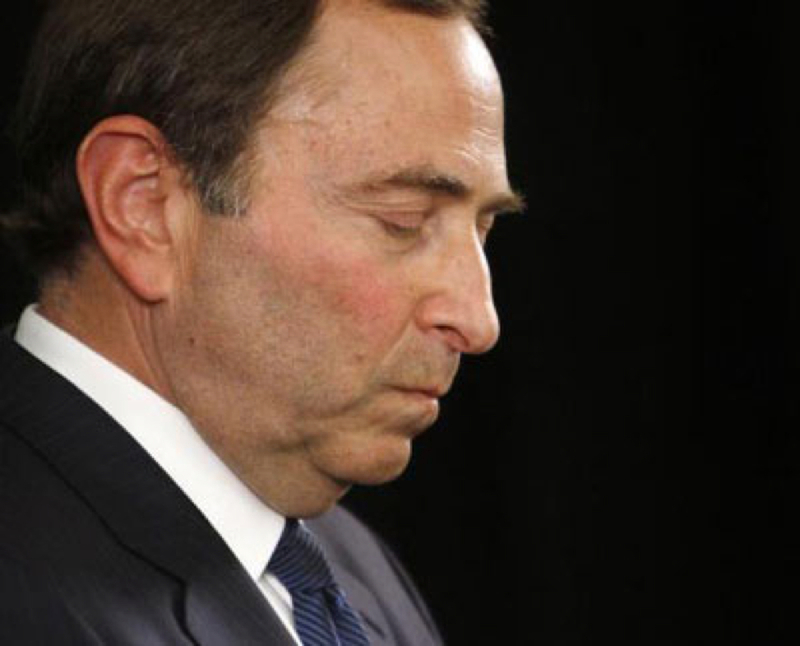 It’s the third time in Gary Bettman’s career as commissioner the NHL has locked out the players, and the second time in the past eight years. MSF’s own Peter Stewart summarized the situation very well Sunday. The CBA negotiations are practically at a standstill. I doubt the NHLPA will concede any time soon. NHLPA Executive Director Donald Fehr has a history of standing firm and not giving in, and he’s done just that so far. Some players have already signed with other leagues. As much as fans, including myself, would like to watch our favorite players play, my guess is you don’t have the money or time to fly overseas to make that happen. So here are four ways to get your hockey fill without the NHL. I am sure minor league hockey will see a spike in attendance for as long as the NHL lockout goes on. NHL teams have already sent some of their players down to their affiliated AHL teams, so you have a very high chance to see NHL-caliber players for nearly half the price. If you’re a hockey fan, why wouldn’t you take advantage of that? I’m already making plans to see some Chicago Wolves and Rockford Ice Hogs games this year. Nothing beats the talent and speed of the NHL, but there’s now way I am not getting my hockey fix this season. If you don’t know the nearest AHL team, take the time to find out and then buy some tickets, bring the family, and enjoy the game. Another really fun alternative to the NHL is going to see some college hockey. Teams aren’t as spread out evenly (sorry West Coast) as in the AHL, but if you’re within driving distance, it’s completely worth it. I’ve only been to two college hockey games (both Notre Dame games), but I’ve thoroughly enjoyed the games both times. Most of the college venues are small, but that just adds to the college sports atmosphere, where all you hear is screams and chants from the student section. The rules are a little different from the NHL. I wasn’t aware there is no shootout after a five-minute, 5 on 5 overtime in the regular season, so you could imagine the surprised look on my face when the Notre Dame – Michigan State game ended at a 1-1 tie, but it’s still the same, great hockey I love. Every winter my friends and I play street hockey. We pool pour money together, usually $10-15 each, for new equipment such as goalie gear or a new net. We bring our own stick, and if we want to stay warm we wear some long pants, a cap, and gloves. It’s some of the most fun I’ve had in my life. Not only am I playing the sport I love, but I’m playing it with people I love. All you really need is 3 v 3, including the goalie. We’ve found out it works best with 2 forwards, 1 defenseman, and one goalie for each team. But work with what you got. I am still young and have the time and energy to do such things, but I highly recommend that you, at whatever age, find the time to get the “guys” or “gals” together for a few games of hockey. As much fun it is to watch hockey, believe me, it’s 10x more fun to play it. EA’s NHL 13 is the perfect antidote for the possible lost 2012-13 NHL season. Video games may not be your forte, but if they are then NHL 13 is perfect for you. I managed to play a little bit of the game the past weekend, and I absolutely loved it. The game is a lot more realistic in the way the players move (EA calls it “True Performance Skating) and position themselves on the ice. The GM mode is spectacular. I didn’t get to play around with the GM Connected as much as I would have liked, but I did enjoy what I saw. I do recommend you put it on the hardest difficulty though. Winning the Stanley Cup easily every year, while seemingly fun, gets old after a while. Because of the lockout, Amazon (and other retailers) have lowered the price of NHL 13 from $60 to $50. What other ideas do you have for hockey fans looking to get their fix during the lockout? Head NHL commissioner looks discouraged after the lockout decision that has begun across the entire NHL. We have a new candidate for "Worst Youth Hockey Coach Ever"
What you’re about to see is a handshake line between teams comprised of players aged 10-12. The two teams — UBC Hornets and Richmond Steel (yeah, this is in Vancouver) — played last weekend, with the Hornets winning by a score of 5-4. The result? The kid that got tripped suffered a broken wrist and Tremblay was taken into custody by Royal Canadian Mounted Police. He was released without charges, but RCMP Sgt. Paulena Gidda said investigators are still considering charges of assault or assault causing bodily harm. Tremblay — who is 52 years old, by the way — reportedly claimed he slipped on some water and accidentally tripped the player, a pretty weak excuse given video evidence. Unsurprisingly, nobody’s buying his excuse, including the Steel team manager, Tammy Hohlweg.